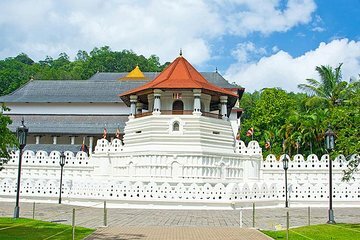 The UNESCO World Heritage city of Kandy is one of Sri Lanka's most popular attractions, and with this full-day tour you'll get to experience the best it has to offer. You'll start your morning with a pick-up in Colombo and head out to Kandy, with stops at a spice garden and tea factory along the way. After lunch, you'll visit the Temple of the Tooth Relic, where one of the Buddha's teeth is housed, with time left over to visit the compact city before returning to Colombo.